As we could see the demand of Hana cloud integration as everyone is moving towards it , To make Integration much more easier,User friendly, and to surpass the difficulties which we have been facing in the Process integration/Orchestration till now.And SAP has come up with this new platform and it has many functionalities to integrate with.Here we shall look into SAP Hana cloud platform integration Landscape. This is my very first blog and it is going to explain the Initial Set up of HCI Tenant as i have faced challenges while doing the same so i decided to share with you all in this community . 1.The moment when you raise a request for HCI Tenant Access to SAP you’ll receive an email which consists of 3 URL’s. 2.Web UI URL(Access via web browser),Management URL(Access via Eclipse),Run time URL(Web service URL to be configured in back end systems). These are the components of Hana cloud platform intigration. Web UI URL(Web user interface):This is the place where we can see the Pre-packaged content of HCI(In built) and we can Design the data intigration and Monitor the messages. Management URL (Eclipse User interface): It is used to design the Intigration Flows. Runtime&Respository: This is the repository for storing the Data intigration flows and intigration projects. 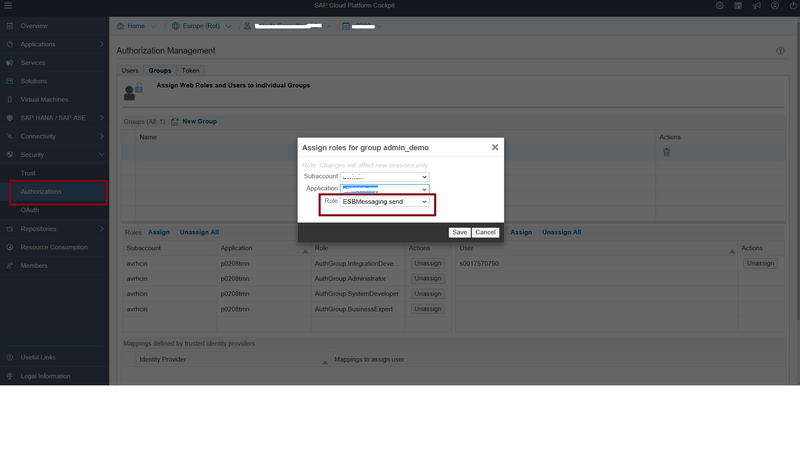 3.To be able to access into WEB UI URL you should have to assign the roles in Hana cloud cockpit (https://account.hana.ondemand.com) otherwise once could not be able to access WEB UI. So here i am gonna show you the step by step procedure. 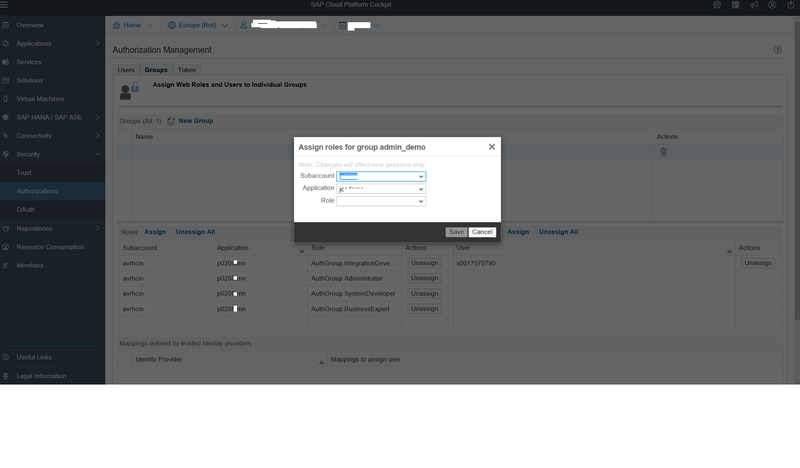 4.The below screen you could see when you log in to the Hana cloud cockpit ,Here you need to select the region. 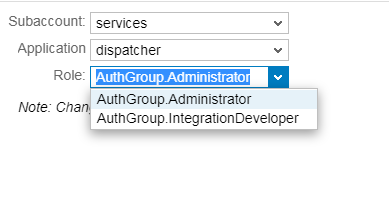 5.Once you select the region then it will take you to the Hana cloud cockpit ,here you need to select the appropriate option to assign the roles. 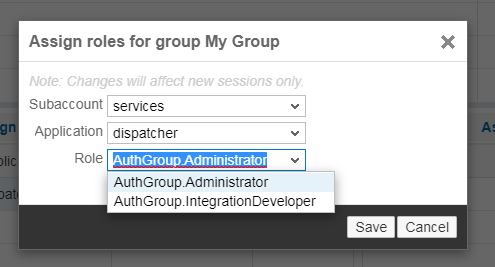 FYI: Navigate to this path on the left side of the below screen Security >Authorization>Groups>Assign. In the drop down list you need to assign the roles and save it. When you complete the above step then you would be able to see the list of assigned roles . Note: And if you want to develop iflows one more role need to be assigned.please find below . Note:To set up the Eclipse you need to Navigate to this path ..Useful links>Tools>Hana cloud intigration tools. Here you can find the step by step procedure. I mailed the relevant mail id for HCI trial tenant, but never received the mail with the said 3 URL. My question is how to get the trail instance for HCI? Its been very difficult to get trail account access today, HCI only offers a 30 day trial. After this period we request customers to get a new trial instance . Try to quote an email to SAP again even i tried many times a month before and i did not get any reply from SAP as it takes time to get it done.Since My Current Organization has given me this access to l explore around. Please follow this link it may help you https://blogs.sap.com/2016/06/09/open-letter-to-sap-regarding-hci/.